One of the first questions we get from our clients is: What is the cost of app development? Our short and quick answer is: Go to our app calculator and find it out in a minute. But for those who insist on getting an instant rough estimate, this is what we say: A small, simple app with minimal features can cost anything around $15,000, whereas a highly complex app with deep integrations can cost anything around $100,000. React native is a perfect platform for developing mobile apps for both iOS and Android because its building blocks can be reused as native components. It helps you save an incredible amount of time and reduce the cost of app development significantly. You don’t require separate developers for iOS and Android. And you don’t require two separate code repositories either. So far we have had amazing success with React Native. It allows you to create apps that are similar to their native analogs, both in design and performance. We encourage our clients to first get their app developed solely for one platform, either iOS or Android. Once that version of the app is launched and tested, we advise them to build the other version. Since each version has its own User Interface features, the cost for frontend creation can be very high, as you would need to hire several teams for each platform. One option is to go for a hybrid or cross-platform app. But in our experience, such apps have been lacking in performance capabilities. It’s an outdated approach to spend months on planning and developing all the features, testing and then optimizing the app for the market. Chances are that you might end up investing a lot of time and money into developing features that the users may not eventually care for. That’s why we recommend minimal design. 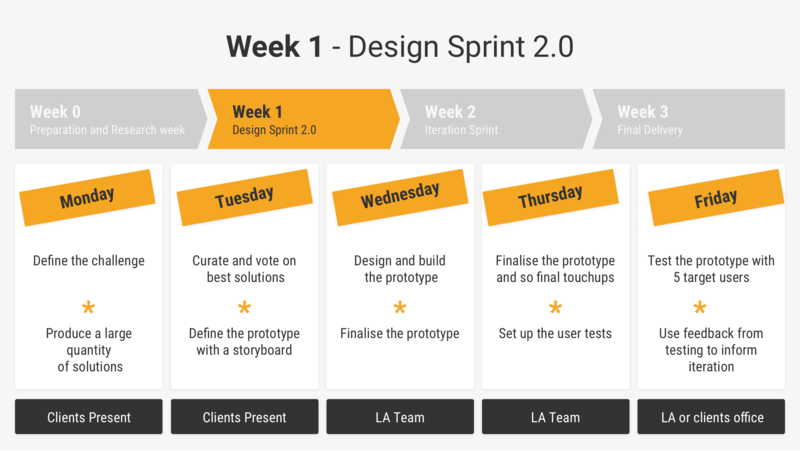 By using design sprint, you can compress months of work into a single week – a five-day process for answering critical business questions through design, prototyping, and testing ideas with customers. Instead of waiting to launch a finished product, you can get customer reactions from a realistic prototype very early on without making any expensive commitments. 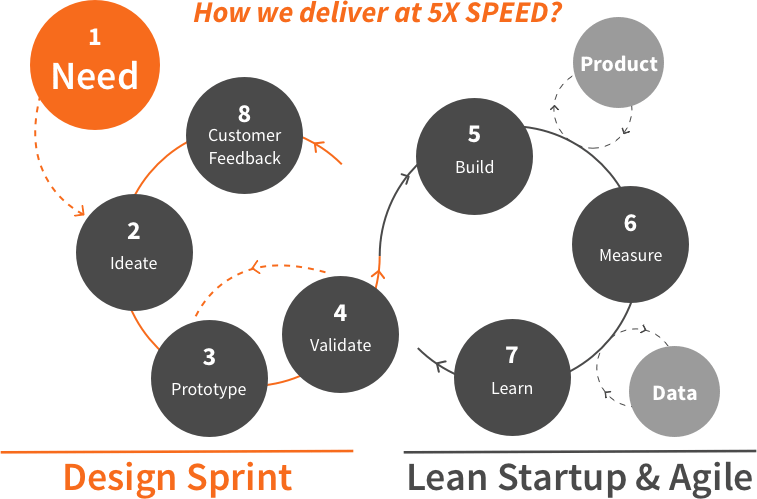 And by using Agile methodology, you can split an entire project into small sprints while keeping the long-term vision intact. Based on your consumer reactions, you can keep adding new features with newsprints. And if changes need to be made in a project, the team can respond to them quickly and fix the bugs simultaneously. There is no need for re-planning or restructuring the entire project to fit any changes, thus helping you save a lot of money and time and reduce the cost of app development. We always encourage our clients to launch the first version of their apps with minimum functionality and keep all the secondary features for later development. This will help you keep the cost of app development low. It’s only after you have identified the demand for additional features that you must start investing in them. MVP fits in perfectly with agile methodology. It reduces costs and helps you avoid failure at a later stage. By launching an MVP, you can test your core idea at a very early stage and in a very low budget. You can identify improvements and bugs in advance, without losing too much time, money or resources. Not only does it keep costs down and speed up the development process, but it also allows you to develop your app with real user feedback when launched. By launching an MVP, you shall never be faced with the problem of users wanting something different from your ideas. So don’t waste your time developing detailed interfaces and branded designs. Instead, implement an early version of your app. Fail fast and learn fast. If you do not have in-house expertise in app development, don’t waste time and money building a team from scratch. Instead, outsource your work to gain speed. But make sure that you keep the code review process internal so that you don’t end up with an unstructured code. You could even rent a code reviewer if you don’t have one internally. But once you have reached the stage of finding a product-market fit, you should build a team for scaling up. Meanwhile, for outsourcing purposes, go for a company that offers you end-to-end services and access to a large talent pool. If you have too many different hires from different places involved in the same app development project, you might end up losing hours of sleep coordinating with them in different time zones. We recommend you hire a company that takes full accountability of testing, developing and fixing bugs, and employs best practices from design sprint, Agile and UX. All these factors will significantly reduce your cost of development and time required in building your app. A completely original and authentic software foundation for an app can increase the cost of app development and take a lot of time. To reduce the cost of app development, we encourage the approach of re-usability, either through the online tools or through a company that can provide you so. There is already a huge glut of reusable libraries available for React Native, and a lot more is being added to the community by top companies such as WIX. We are doing our bit too. Having built over 100 apps reaching 10 million users in the last four years, we are creating multiple reusable components to add to the libraries for web frontend (React JS), mobile app (React Native) and backend (using Java, Sprint-Boot). We have already created generic components such as those required for registration, login, authorization, CRUD screens, notifications, analytics, payments etc. to shorten the development cycle. 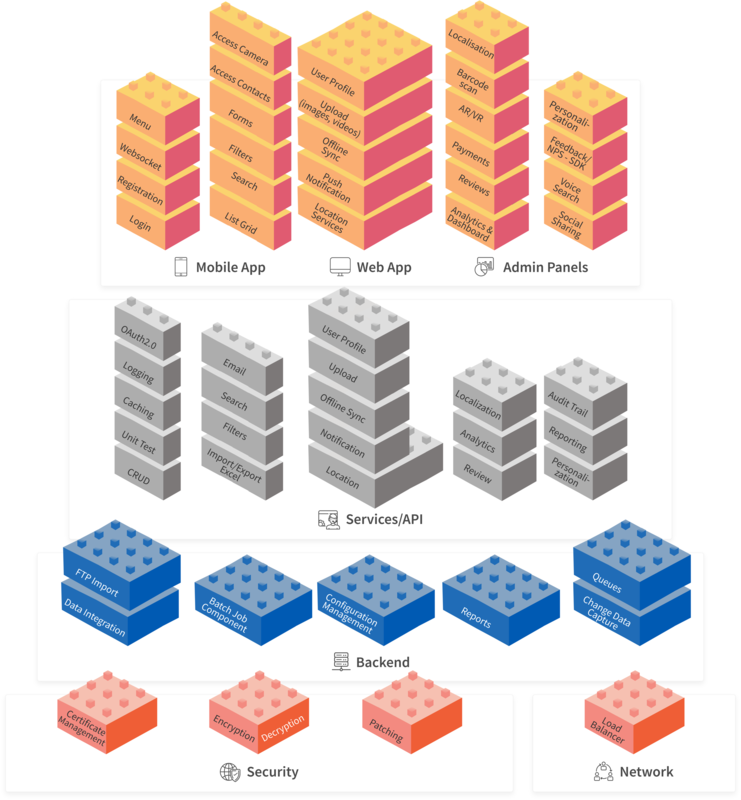 This way we don’t have to build these components from scratch for new apps each time. We code a lot less and create a lot faster. Our goal is to reach a point where we can develop 70% of the requirements through our reusable components list, and only code the rest 30%. Keeping these hacks in mind, we recommend you go back to the app calculator and find the cost of your app again. We guarantee you that this time your estimate would be much lower. If not, give us a holler to negotiate the cost. 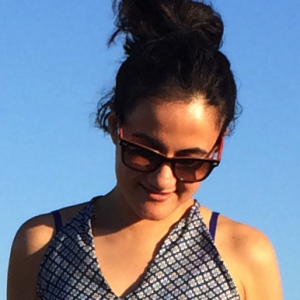 Previous Previous post: How to take an idea to app launch in 8 weeks?